ROUND ROCK TX: Although, this weekend a Denny’s waitress was allegedly assaulted by two Muslim men for serving pork during Ramadan. 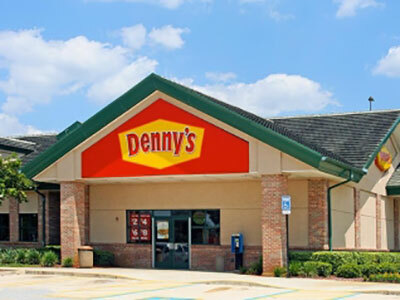 The woman, an 18 year old that had just graduated high school, was working at a local Denny’s restaurant when she was reportedly insulted by two passers-by on Wednesday. The men are said to have started to abuse her when they saw she was serving bacon to customers, The Times reported. She said one of the men screamed she was a “whore” and slapped her across the face, leaving her with a black eye after she was knocked to the ground. The waitress, who did not give her name for fear of reprisals, said: “One of them said to me ‘You should be ashamed of yourself for serving pork during Ramadan  if I was God I would hang you’”. The woman added she felt “degraded, humiliated and sullied” following the incident. The police have not yet released the CCTV footage, but if you have any information about the assault, you are urged to call local police. Be the first to comment on "Denny’s waitress assaulted by Muslims for serving bacon during Ramadan"